Journey to The Span to battle the Dragonoid! Power through the ultimate battle to save your future! 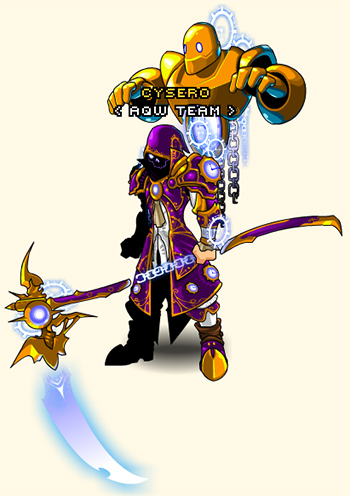 The Crystal Dragonoid is the final opponent to beat before you can face the Chronomancer Chaos Lord! Soar through space and shatter asteroids in an all-new minigame. Next week: battle the Chaos Beast AND the Chaos Lord! Talk to Twilly to Unlock New Treasure Chest Items! All-new Treasure Chest items are packing a galaxy's worth of epic into Twilly's Treasure Chest Quest! With 19 NEW items to get, you've got a lot of battling ahead of you to gather enough treasure chests! Remember, you can buy Treasure Chest Keys for Adventure Coins OR get two FREE Treasure Chest Keys every month you have an active membership! Test the Tutorial to Help Improve AQWorlds! Even the shiniest new content can use a bit of a polish. /join tutorial to run through our updated intro map and battle the Ultra Lich! Your feedback is incredibly helpful as we work to improve AQWorlds! We will also be working more on the Book of Lore. It still has some bugs, and your feedback on the changes has given us a good direction to go in. Keep an eye out for future changes! Look for more Design Notes tomorrow with all of the behind-the-scenes changes we've introduced to AQWorlds to help improve functionality! Grab Gear from The Span and the Treasure Chest! Blast through battles with our newest gear! The SDF Mecha arrives in The Span's Rep Shop tomorrow, along with other great gear like the SDF Rebel, the Galactimech*, StarStorm Helm, and more! And talk to Twilly in Battleon to buy Treasure Chest Keys, then unlock your treasure chests** for a chance to get the Evolved Bounty Hunter Armor! ** Treasure Chests drop from EVERY monster in the game! Members get two FREE treasure chest keys every month, but everyone can purchase them with AdventureCoins! Voyage into the depths of space equipped for victory! 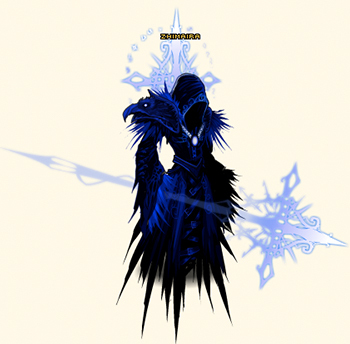 Quibble Coinbiter Returns Next Friday for Frostval! AQW artists have been freezing their fingers to the bone to bring you some ice-cold accessories and armors, and they're set to release December 7th! Make Your Holiday an Explosive Success! Blow up ALL the bad guys with the Missile Toe Mech, intimidate ANY opponent by equipping the Ice Beast, and read on for the frighteningest Frostval gift EVER, coming in a 2nd update to Quibble shop on December 14th! The Ice Beast takes on ALL challengers! Pinkomancer Class Arrives December 14th! Pink lovers unite! Beleen's birthday is two weeks from tomorrow, and she's got the most terrifyingly-pretty Class just for YOU! 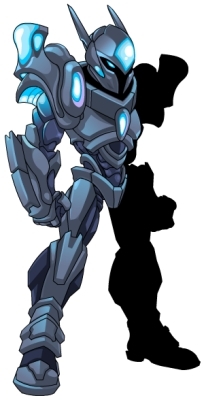 The Class will cost 2,000 AdventureCoins and will ONLY be available this year from Quibble Coinbiter's Frostval shop! *** The Class and more pinktastic birthday gifts from Beleen will be added to Quibble's shop ! Better bone up on your battle tactics! *** What Class would you like to see her pinkify for her birthday NEXT year? Tomorrow: Time to Face the Crystal Dragonoid! As Lore’s fate draws near, Iadoa is close to helping you finish your training. There’s only one problem, Iadoa’s sanity is slipping deeper and deeper. You must journey to a realm filled with alien planets, asteroids, and mecha...SPACE! Venture into the dark black void of MechQuest's timeline as Golem Warlic teaches you one final lesson. With the Chaos Beast waiting to rise, this is sure to be one adventure that you will NEVER forget. If you make it back alive! Helping you find more friends to battle alongside! Chatting with new friends, making plans to battle with them against epic boss monsters is one of the best parts of AQWorlds. To make that easier for everyone, we're changing which version of Battleon you log into based on what country you live in, so that you will be able to talk to your fellow Heroes right from the start! You can still join any version of Battleon, other map, or /goto any player, no matter what language they speak. But now when you /join battleon, you'll be able to put together a party to battle Chaos Lords, arrange PvP matches, or farm without the delay caused by language barriers. AQWorlds has players in every habitable continent! Players who live in countries speaking Portuguese will auto-join BattleonPR. Players who live in Indonesia will auto-join BattleonIN. Players who live in the Philippines will auto-join BattleonTG. All other countries will default to auto-join Battleon. If you automatically login to BattleonPR, BattleonIN, or BattleonPH, you can /join BattleonEN for the current Battleon map. In the next phase of this change (coming soon! ), we'll give you the ability to change your default language in the options panel. Rumors have been spreading across our world that the Chronomancers, Chronocorruptors, and Time Killers are needed for a special role in the events which will take place on 12-12-12. This date only happens once every 100 years. We do not know exactly what is happening yet... we are hoping our Loremasters can decipher ancient scrolls to tell us more. If you hear anything in the mean time... let us know! Meanwhile... "vs. the Lag Monster"
We held an emergency meeting today, gathering the head programmers of ALL of our games to once and for all fix the ongoing lag issues in AQWorlds. Last weeks major database optimization and changes did not really have a noticable effect. While the symptoms are combat and chat lag, we are 100% certain that the actual problem is related to the database data transfer speed. This has been a creeping problem as we have increased inventory space, added housing, friends lists, and now guilds. This is not hard to believe considering there are over 44 million characters in the AQWorlds Database with over 1.4 billion inventory item records. While you save the world from whatever is coming on 12-12-12, we are also going to be saving your gaming world by doing whatever it takes (Translated: major recording and restructuring) to fix the lag. Thank you for all of your patience and support as we fix these problems. Be sure to stop by www.Artix.com and leave comment on a post to say hi! The Chaos Twins have BIG plans for you, Hero! Shatter the chains that have trapped The Span's golems! War in /TheSpan rages, and your goal is to destroy Drakath's new army... and save the Chaos Lord! Once the war meter hits 100%, use the button on the war meter to go straight to the boss and take it down! Doing the unexpected is what Xing and Xang do best! Friday: Chaos in Outer Space! Mecha, monsters, and MASSIVE amounts of super-spaced out rewards await you in Friday's newest Chaos zone update. You'll need to gather and save what you can of Professor Iadoa's mind, battle the final Proto-Chaos Beast, and return home safely or your true destiny will never be realized! Make sure your energy blades are charged! NEXT week you will face the Chaos Beast AND the Chaos Lord... but first you'll need to conquer deep space... and an all-new miniboss! Frostval is Coming in December! You might have heard warnings that a cataclysmic something-or-other is about to strike, but what we should really be focusing on is... FROSTVAL! 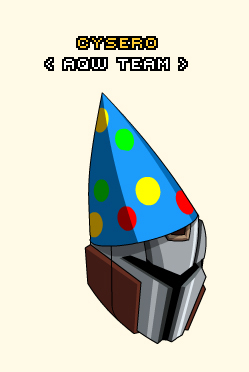 I don't know about you, but the AQW team LOVES this holiday! Have you been a Good Hero... or an Evil Hero? The cheer, the chill air, and all the presents we get to give! * Nothing's going to stop us from making this the biggest, best Frostval celebration yet! With you on our side, this is definitely NOT going to be just another day! 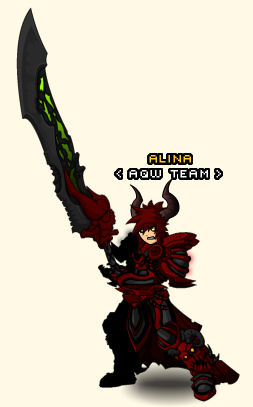 * Like bringing you Dage's Sword of the Legion Shop! Grab your inventories and check for treasure chests! If you've got any laying around, you'll want to log in this Friday because there will be all-new items available from the Treasure Chest quest. Members get two FREE Treasure Chest keys every month their upgrade is active; you'll need a Treasure Chest key to try for a reward! Make sure to bring your Treasure Chest Keys! Remember, you can get more Treasure Chest Keys from Twilly in Battleon with Adventure Coins, or just sell the unopened chests for a little extra gold if you don't want to see what is inside! Prepare for the Darkest, Most Epic Deals of the Year! Battle the shadows with the Darkest Black Friday gear we've ever released! 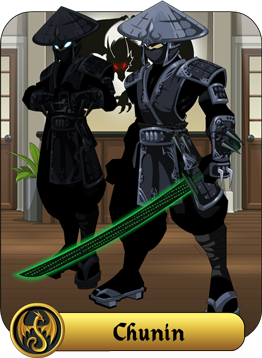 Now available in Battleon, the 2012 Black Friday shop packed with obsidian armors and the most epically pitch-black equips AQWorlds has ever seen. And all of the returning Black Friday Seasonal Rares! Pre-paid Artix Gamecards In Stores Now! 'Tis the season to be gaming! Don't forget that our pre-paid gamecards are in GameStop, Target, and CVS stores across the United States! Give your friends the gift of VICTORY and have them /party up with you to take down Chaos! AE Game Updates at Artix.com! Laying a smackdown on our first update, "Karez", former WWE Wrestling Diva Maxine, covers OverSoul, AdventureQuest Worlds and more. Comment on this video at Artix.com! Time for a New Class: Thief of Hours! And make sure to get our newest Class, the Thief of Hours! Check out Cysero's Design Notes for the details on the newest Dex-based Thief Class. This is a NON-MEMBER class so anyone who reaches ChronoSpan Reputation Rank 10 can purchase it for gold from the Span Rep Shop or you can get the AC shortcut version if you don't feel like grinding the rep. The AC version will be sold both in the Rep Shop as well as from RAGNAR. Happy Black Friday, everyone! Enjoy the shopping... and battling all of the crowds that got to the store first! This Thanksgiving, YOU are the Special Guest! It’s that time of the year to set the tables... but where's the main course? This year, a rogue turkey is fed-up with the Thanksgiving tradition. He has been inviting human guests to a feast they’ll NEVER forget! Find out how this terrifying turkey acquired his powers, free the guests of honor, then defeat (and eat!) the foulest fowl in town! Chaos Golems Reign in The Span! Chaos can control a creature... or break the chains that bind them! Drakath has sent his Twin minions to oversee the start of a war between those golems and creatures loyal to you and the Chronomancer Chaos Lord... and those who want to see you both destroyed! Will Drakath's Twin Minions make things worse... or better? Now the golems and monsters in The Span run amok as Chaos courses through their veins! Will all of the Chaos Lord's plans be destroyed? Or will you save him, yourself, and Lore? There is no hiding from the eyes of Chaos! Prepare for EPIC (and Chaorrupted!) rewards from the war's AC Rares and War Merge shop! 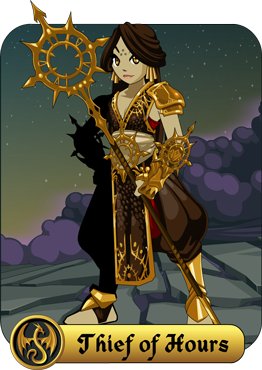 The DragonLord Knight and Chaos DragonLord Knight armors, The Seeker and Chaos Seeker sets, weapons, pets, and more! 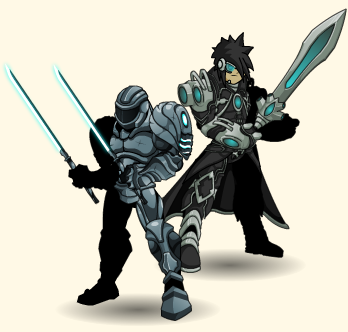 DragonLord Knight and Chaorrupted Knight Armors! There are TWO member-only farming quests for the war. They give 6 Chaorrupted Gems as a reward, double what you'd get from fighting war waves! The Thief of Hours Class is Live! Everyone can use some extra time in the middle of battle... and with the Thief of Hours Class, you'll have that! Check out Cysero's Design Notes for the details on the newest Dex-based Thief Class. This NON-MEMBER class is available from Ragnar in Battleon for AdventureCoins OR you can rank up your ChronoSpan Reputation to 10. The AC version will be sold both in the Rep Shop as well as from Ragnar. Fiery Fall Shop in Battleon! Armors, weapons, and 3 pets: 2 come with quests which include reward items AND items used in a merge shop available from the 3rd pet! Collect them all! 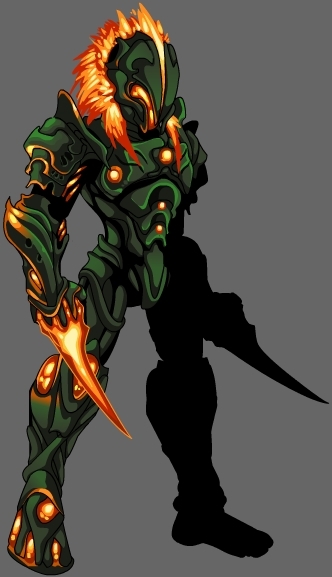 * The Fall Dryad Armor has a female appearance for both male and female characters! 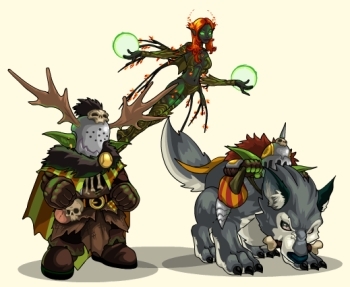 The Dryad Pet is ALSO available as an armor from the Fiery Fall Shop! Coming Friday: the Darkest Black Friday Shop! As the sun sets earlier each day, darkness falls faster... and that means it's time for the Darkest Black Friday shop! This Friday, find all your favorite Black Friday items along with NEW, shadowy gear! 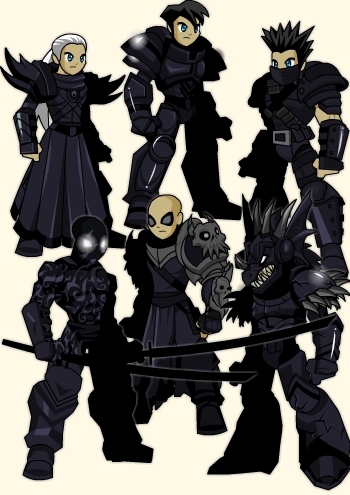 Check out the Male Black Friday Armors here! Check out the Female Black Friday Armors here! To those of you in the United States, have a happy, safe Thanksgiving! ** Enjoy the turkey (or Tofurkey), stuffing, cranberries, pierogies, spanikopita, or whatever other dish your family enjoys. Safe traveling, and enjoy the releases! Working with the rest of the AQWorlds team as we pushed to get 2 weeks worth of releases done in 3 DAYS has only reminded me just how thankful I am for everyone who contributes to creating the game we love to make for you! And we are doubly thankful for all of YOU! 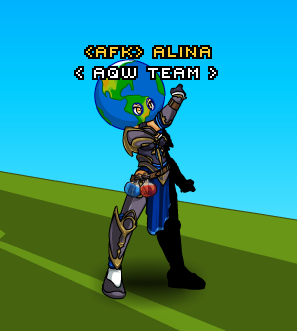 Without your support, there wouldn't be an AQWorlds or an Artix Entertainment! Have a happy holiday and Battle On! ** Everyone else, happy Thursday! A long time ago a group of monks discovered a way to manipulate time. After several centuries they perfected incorporating it into their martial arts developing their on distinctive fighting style, the Way of the Clock. It focuses on stealing time from the lives of your enemies to add to their own thus earning them the title of Thieves of Hours. They use the stolen time to gain valuable hours, days, weeks, years and even stolen centuries which they, in turn, spend perfecting their art. 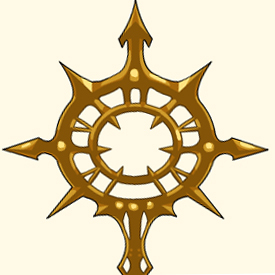 The monks chose the sun as the symbol to represent their order, as the sun's relentless march across the sky day after day is the ultimate representation of time incarnate. Just ask anyone who owns a sundial. Before he became chaorrupted Iadoa spent many years with the Thieves of Hours in their home outside of time... the Temporal Temple. He learned their arts which he combined into his own chronomancy and now that Iadoa is a Chaos Lord the Thieves of Hours have arrived at this point in time to stop Iadoa from using their secrets to destroy reality. There's some AWESOME stuff going on with this class so just bear with me until you try it out. This is a NON-MEMBER class so anyone who reaches ChornoSpan Reputation Rank 10 can purchase it for gold from the Span Rep Shop or you can get the AC shortcut version if you don't feel like grinding the rep. The AC version will be sold both in the Rep Shop as well as from RAGNAR. Please note that Itzachi has returned to Arcangrove and Ragnar (the big dude in blue armor in Battleon) has taken over Class Dealer duties. You will notice that the class art is partially color customizable so you can set yourself apart. The chest and loincloth CCs to Base and the leggings CC to Trim but you can't change the red underclothes or the gold armor. As the name suggests, it is a Thief based class who works really well with a bunch of DEX. The first thing to note is that this class has been built to focus either on Dodge or Crit or a mixture of both so I highly suggest Thief Enhancements and but you might like a challenge, or HP or more Crit. I like that the class has more than one viable build to it. It is built on the Rogue mana regen model so you will get both HP and MANA from every dodge which is a good argument to focus on a dodge build. PRO TIP: Even though this is a single target class, if you engage multiple enemies at once you get a LOT of Dodges and thus a lot of HP and MANA flowing in. Let's look at the skills. Whovians... keep your eyes peeled for Dr. Who jokes. Light Damage attack that applies Stolen Life which steals seconds from your foe's life. This causes you to move faster and raises your Dodge chance with each stack. Stacks 5 times. Each stack of this skill adds 3% Dodge to your base Dodge. It's VERY mana cheap and the cooldown is amazingly short. You should be CONSTANTLY using this skill and keeping your Dodge boosted all 15% to keep the heals and mana flowing. Moderate damage attack that also applies Deadlock to your foe. When Deadlock reaches four stacks, all stacks will be removed as your body travels backward in time and life will flow back into you (HoT). This is a very fast and fairly mana cheap moderate damage skill. Once you reach 4 stacks of Spilling Sands the Heal auto-casts itself on you but don't expect a huge heal. It's only intended to supplement the heals you have flowing in from dodging to help you survive. Think of it as a fast damage skill and the heal is just gravy. Moderate damage attack that applies Time Ripple to the target up to 3 stacks. Each stack of Time Ripple increases your chance of getting a critical strike and increasing your critical damage but also increasing the damage you TAKE from any critical attack against you. Another decent moderate attack with cheap mana cost. The cooldown is a little longer but that's as much to keep you alive as anything else. Remember that every stack of this skill does make you crit harder and more often but it also makes everything crit on you a lot harder... IF they can hit you. It's hard to hit someone who can see the future, and EXTERRRMMMMINATE! Wraps your target in a swirling torrent of time, confusing the target and causing it to hit itself when it tries to hit you. Lasts 6 seconds. This has a long cooldown and is VERY mana expensive but there's a reason for that. It's a classic confuse skill. For 6 seconds the monster hits themselves instead of you. You might see a green heal 0 flying off the monster along with the damage but that's just part of the way that damage is calculated. It might seem a little OP until you realize that you've got Dodge stacked up to your ears and the target has to actually HIT you for the skill to do anything. It does make group PvP a lot of fun but it is pretty insane in 1V1 duels. Still, we have enough faith in the 1v1 PvP nuts to know when to back off someone when they use a skill like this. It's more useful in a Crit build than a Dodge build but even in a Dodge build it's a great survival tactic. PRO TIP: Your Dodge skill might be applied to you, making you dodge multiple enemies but TEMPORAL INSANITY can only confuse ONE target at a time. Rarely, when your hit points drop below 10% and your life is in danger, your health and mana will be restored to full and all damage taken will be significantly reduced for 10 seconds.. When you get pretty close to death, this skill will return you to life (maybe you have a new face and a penchant for bow ties... maybe not) with full HP and MANA and since the regeneration energies are still flowing through you, you are very hard to damage for a short while (like maybe you'll grow your hand back or something). Considering how rarely you SHOULD die using this class effectively and considering that most Rank 10s are huge damage boosts, we have significantly raised the chances that you will see this passive proc. it is FIVE times more likely to go off than most other rank 10 passives. Battle the crowds to get these epic items! This Friday, once you've come out of your Thanksgiving (or Thursday) dinner food coma, login to AQWorlds and check out the Darkest Black Friday shop ever! Grab your favorite gear from the shop and then rock it shadow-style! Find the Fiery Fall shop in Battleon this Wednesday! 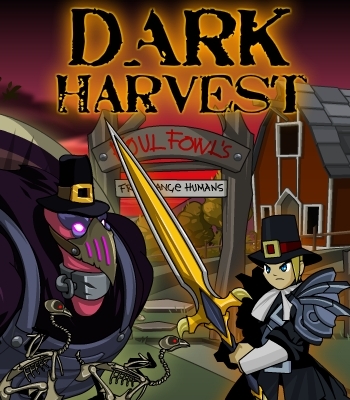 NEW Thanksgiving event with returning Seasonal Rare items! War Rares, a War Merge shop, and member-only farming quests! AQWorlds servers offline last night for maintenance! Coders deciding which database tables to clean first. * Extra-thorough oiling of the server hamsters' wheels will also be performed tonight. Why do we need to do this, you ask? Good question! This will help the game run better overall. Every database needs to be cleaned every so often, just like a closet that keeps getting rusty swords and dirty armor tossed into it. You forget all that junk is in there until one day you open the door and a whole armory of gear comes crashing down on you. Tsukumo-Gami NEVER optimize their databases. When the database is full of junk, it makes all the different parts of AQWorlds - logging in, loading your inventory, finishing a battle - run a little more sluggishly than they should. That's because every time you do something that makes the game talk to the database (like finishing a battle or purchasing an item from a shop), your game needs to talk to our database to trade information. And with millions of messages a day coming from Sir Ver, Cysero, Twilly, and all the other servers, the database could use a good shake-up and dust-off. We're getting all those stray bits of data out of our DB tables and into the recycle bin where they belong. Good database hygiene is important! We run the database cleanup queries regularly to make sure the game works well (those happen in the middle of the night when the fewest number of players are usually online), but there are certain cleanup processes that need to be run when the servers are offline. So... no playing AQWorlds tonight? Recently Nythera's Player Support Team has seen a HUGE influx of people contacting them trying to get their accounts back. According to the reports 80% of them come from people giving away their account passwords or e-mail passwords. That probably means that half of the rest of them have also given away their account info and are just to embarrassed to admit it. We get new reports every day about fake sites that were set up to steal your accounts by promising you free items, memberships, ACs or Modships. We take down as many of them as we can but it can take weeks for an ISP to respond to our take-down notices and it only takes a few minutes to set up the site somewhere else. We are doing everything that we can, so now the rest is in YOUR hands. NEVER give out your AQW or Artix Master account info. NEVER share your account with someone, not even your brother, sister, cousin or best friend. AQW accounts are FREE, they can make one of their own. NEVER give out your e-mail password. Lots of people are giving strangers access to their e-mail accounts and wondering how they got hacked. Derp. ALWAYS report someone in-game for linking a scam site or claiming to be a mod or dev in disguise. AE staff will NEVER as for your passwords. We don't need them. NEVER use programs like hacks, trainers or shop loaders. Anything that requires your password to use can steal your account and we've found SOME 3rd party hack programs that contained trojans which will record and send your account info or worse. Maybe even your parents credit card info. ALWAYS use a GOOD password. NEVER use BAD passwords like "asdasd", "aaaaaaa", "12345", "11111", or your account name as the password. AQW Staff do not give out free modships, memberships or ACs. If someone is promising you something like that... they are lying to you. FAKES ARE EVERYWHERE. Every day people tell me that they spoke to me on Facebook and that I promised them something. I don't have a Facebook account, only a fanpage. most of us only have FB FanPages. If you don't know who is real, check the AQW STAFF LIST. If someone is claiming to be one of us on a different Twitter or other social media site they are lying to you. If you HAVE lost control of your account, Player Support will try their very best to get your account back for you, if you are unable to do so yourself but your first stop should ALWAYS be the AQW HELP PAGES. Please remember that the neither the AQW Mods or we Developers are able to help you with account problems so if you ask for help on Twitter or in the game we will direct you to the people who CAN help. 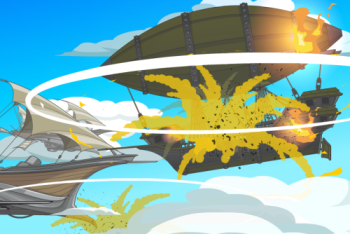 Airship explosions, reality inversions, and Chaos! Members should hurry to /join ChaosGuard; fight your way through SkyLords into the heart of the Master's twisted Keep! Take on Ultra Exos in a Challenge Battle! Once inside, find your way through many mixed-up doors, evade the Spy Eyes, and discover the truth about why the DreamWeaver chose Stratos' brother! ... And what Drakath plans to do with him next! Suggest Shop Update at Yulgar's Inn! 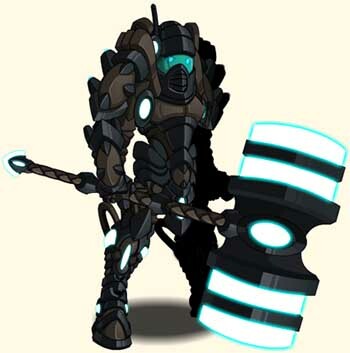 Be sure to check out all of the epic gear we're adding to Yulgar's Suggestion Shop! Every item in these shops was suggested by your fellow players and created in-game by AQW's artists. Mieteor's Sinister Brute Armor and Helm! NEW New Tutorial is ready for more testing! If you'd like to help us out by testing the new fixes to our new Tutorial, please /join tutorial and give us your feedback on the forum! The comments you give us will help make the beginning AQWorlds experience better for all of the new player who join the game each day. The more they understand how to play, the stronger and faster they'll be when the /party up with you to take down bosses! 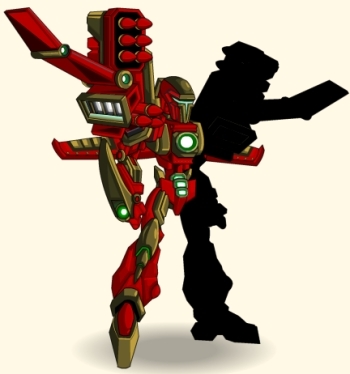 Chunin Class Available in Battleon! If you didn't have the chance to farm for the Chunin Class (released last month), you can still buy one from Itzachi in Battleon! Talk to our Class Dealer to purchase the Class for 2,000 ACs. Check our Cysero's Design Notes to see what epic battle skills the Chunin Class possesses! Shop Available Until 6:00PM Server Time on Monday! It's the end of an era and the beginning of a new one, but not matter what time it is, you've got to be ready for battle! The Eternal Warrior is a mysterious wanderer who traveled through time and space collecting the best, most efficient pieces of armor... and his next stop is RIGHT NOW in Battleon, but he's not here for long! We're Lycan This New LTS Gear! And as the country prepares for the release of the final Twilight movie, we wanted to let you celebrate (or mourn) the evolution of the werewolf species with the Twilight of the Lycans! But just like the twilight eventually fades into night, this shop will ONLY be available until Monday at 6:00pm server time! November Pet of the Month: Fall Dragon! As the month of the Dragon flies by, we wanted to make sure we didn't miss our chance to release the Autumnal Dragon Pet! This member-only Battle Pet costs 9,000 gold and can be found in Aria's Pet Shop AND has new animations! Don't Fall for imitations, because this Battle Pet will leaf before you know it! Members: If you're going to save Swordhaven from the SkyPirates AND help Stratos avenge his sister's death, grab ypir sharpest blades and prepare to board the nearest airship! The time has come to confront the Master! Face Ultra Exos in a Challenge Battle! As his paranoia increases, the Master's "friends" reveal their true plans... and Stratos is forced to decide whether his brother is still whole enough to be redeemed! Prepare to be Touched By Chaos... if you dare! And make sure to check out Yulgar's Inn, because the Suggestion Shop is receiving a host of new gear - ideas by YOU, art by us! Coming Next Week: Fall in Love with this New Gear! Dage spent the week crafting gear epic enough to kick off the 2012 holiday season! Filled with Fall-themed armors, helms, capes, pets, and more, you'll want to make sure to stock up on the items in this shop, because once this gear is gone, it will never return! And don't miss the release of the Thief of Hours Class NEXT FRIDAY! Cysero and Yorumi have put together a skill set which will make sure you have the time and opportunity* you need to show your best battle moves! Look for his skill write-up next week! Time for Another Color-Customizable Class! The Thief of Hours will require Rank 10 ChronoSpan Rep OR will be available from Itzachi in Battleon for 2,000 ACs. * That's a hint, Whovians! Cluck-cluck-DOOM is coming to YOU! Chaorruption continues in this week’s newest chapter of The Span saga, loaded with fiery dungeon mazes, legendary heroes, and a… ChickenCow dressed in a TOGA?! But nothing is what you expect, because... Chaos has freed Iadoa's Golems! If that’s not Chaos then I don’t know what is! /join thespan and discover why you are here… and what your destiny is. But the Chaorruption inside your Professor grows stronger, so you better act fast before he loses control of his sanity AND his knowledge! There is no more time to wait! Talk to Iadoa in Battleon to unlock your Destiny Shop filled with gear inspired by Chaos and concepts from AE's other games. Then head to /thespan to begin (or continue) learning how to save Lore from Chaos! Though Chains of Chaos bind you, you WILL break free! BUT don't forget to check your Book of Lore* for the Guilds PTR tester badge! If you were a member AND tested Guilds during the PTR period, you have NOW unlocked the Guilds PTR badge AND the Guilded Scythe reward that comes with it! * Yorumi will work on fixing the Book of Lore tomorrow. If you are not able to open the Book of Lore, your client is cached. Please refresh the browser and clear your cache. Art Preview: Thief of Ages Class! The long-awaited Rep Class for The Span is in development! The first draft of the color-customizable Class art is here! You'll be able to earn this Class through increasing your ChronoSpan rep OR by purchasing it from Itzachi in Battleon for 2,000 ACs. We don't have a set release date yet, but we are considering doing a monk hybrid for the Class. What kind of time-related skills would you be interested in seeing for a Class like that? The "Twilight of the Lycans" Limited Time Shop! 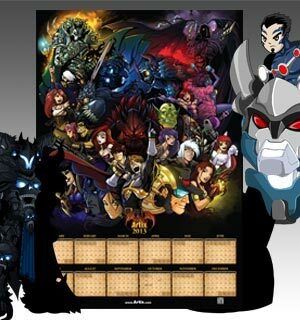 The 2013 AE Calendar has arrived on HeroMart.com! This year we went in a new direction by printing the calendar on a single poster sized sheet and when the year is over you can flip it to the backside where the image takes up the whole page! It's a kind of Where's Waldo of AE. 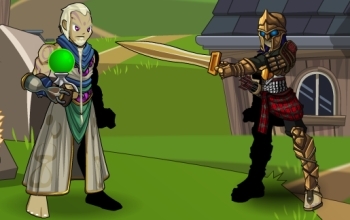 Diozz managed to work NPCs from AQW, AQ Classic, DragonFable, Mechquest and Epicduel into one single amazing image! Dage spent days painstakingly painting the image and we double checked the dates this year so I'm sorry to report that there is no bonus November 31st in the new one. 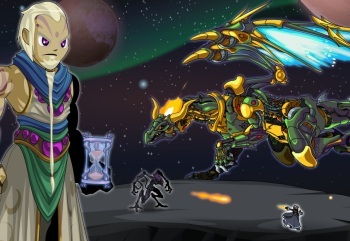 The Calendar comes with a special Mech head in MQ, the TimeKiller armor in DragonFable and in AQW you get the TimeKiller Class, TimeKiller Hat, TimeReaper Hood, TimeReaper Scythe, the Very Big Ben Cape and TimeKiller Character Page Badge! The TimeKiller is a rare breed of hunter who travel the breadth of space and time hunting your prey. Are you a bounty hunter? Do you hunt the most dangerous monsters in history? Do you track down history's greatest treasures? When you have a very long life and enough power to travel through time at will, you have to set your own goals. TimeReapers are a rare breed of TimeKiller. They have lived long enough to grow bored of collecting histories greatest artifacts and hunting extinct species. They have taken to tracking down and hunting the most dangers prey... other TimeKillers. Either way, it's an interesting way to kill some time. The class is a single target class based on the ROGUE mana regen model so you will get mana back on hits and crits but ALSO get slightly healed on a dodge. Only 1 of the skills help you dodge so don't expect that to happen too often unless you use a build based on Dex like all Thief Enh, but some of the attacks are physical and some are magical so I suggest a full Hybrid Enh build. Every time you use this ability to attack an enemy for moderate damage, it slows their local time more and more making them attack more slowly with every hit. Stacks up to 4 times. It's a stacking haste debuff and a very low cost, low cooldown moderate damage ability. Causes moderate damage, and forces your enemy to relive the attack over and over again taking damage over time. You hit them for moderate damage and forces them to relive the pain in the form of a DoT (damage over time). Starting to catch on? There is a very stong TIME theme to each of the TK's skills. Surrounds yourself or an ally in a bubble of compressed time. The target will heal, regain mana and attack more quickly for 10 seconds. This is an interesting skill. 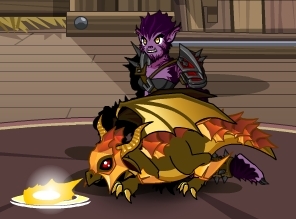 Accompanied by Pyromancer's shield skill animation, this skill causes you to heal rapidly (in the form of a decent HoT or Heal Over Time) and causes you to regenerate your mana faster. The interesting thing about this skill is that you can use it on yourself by default or click on another player and use it on them. VERY good in guild combat situations. It's costly but worth every sencond of waiting and every point of mana spent. I think it's the first skill in the game that allows you to assist another player with mana regen. It will make you a good friend to have. As your control over time grows, so do your abilities. You can't move faster but you can make everything else move more slowly. Causes High Damage and locks your enemy in time leaving them frozen as time flows around them normally for a short time. It's a High Damage Skill AND a four second stun. Four seconds may not seen like a lot but with Compress time it gives you just enough time to catch your breath and dive back into the battle for another round. Also a very good lead-off skill in PvP vor Obvious reasons. Rarely causes up to three monsters around you to get frozen in time while your local time is compressed causing you to attack more quickly for a short time. This was a fun workaround. We can;t actually stun more than one enemy target at the time so this actually casts a dramatic reduction in haste for ten seconds, which increasing your own haste. You're basicly the Flash. It's a pretty fun class. There's not a lot of interaction so it's not very complex, and while I like classes that take some brain power to use, It's nice to play one that is just simple. clean and efficent. Don't forget to check out tonight's Span release as Iadoa continues to lose his mind to Drakath's chaorrupting influence. Refer your Friends and get Sweet Stuff! Your friends always have your back in real life. Now they can protect your back… and front!... while slaying fire-breathing dragons, defeating Undead minions, and taking down the 13 Lords of Chaos! Starting this Friday--that's tomorrow! !--invite your friends through our Refer a Friend system and earn epic rewards as you and your buddies become the greatest heroes in all of AdventureQuest Worlds! Friends give the best presents. For every Friend you Refer, you get Gold and Experience based on the amount your friend earns each day. You also receive 1 Friend Gem for each Referred Friend once they reach Level 5. And here’s the best part: when your friend becomes an Upgraded Member, you get 250 AdventureCoins! Friend Gems are awarded to you for every Friend that you Refer once they reach Level 5. Friend Gems can buy all sorts of awesome items from the Referral Shop in game. 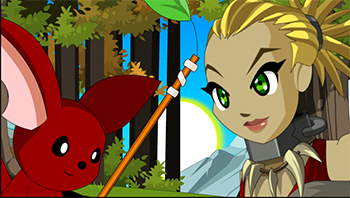 Twilly the red Moglin in Battleon will open that shop Friday. The more Friends you Refer and help level up, the more Friend Gems you get, so start Referring your Friends today and show off your amazing items! Friendship rules! To invite a friend, enter their email in the textbox labeled "Friend's Email" and then Submit! Or you can copy and paste your referral link on your blog, on your Facebook status, Twitter, bathroom stall door... anything you want! You can also (hopefully) Refer your Friend from in-game! If everything goes according to plan tomorrow, Twilly *should* be able to send your friends emails directly from Battleon. Keep those fingers crossed--and get your friends' email addresses ready! Whoa. You have a lot of Friends. But it’s easy to keep track of them all! You can keep track of each Friend you Refer in the Account Manager. After logging in with your Username and Password, click the “Referred Friends” link on the left side of the screen. You will see a list of all the Friends you Referred and whether or not they have Upgraded to a Member! Sometime over the weekend an error occured on our payment page for some of our payment options. Some people simply weren't able to upgrade or buy AdventureCoins. Everyone who was able to make a payment got what they paid for. Today, with your help, we were able to track the bug down and fix the errors and everyone should now be able to upgrade or buy AC's normally. If you weren't able to buy an Membership or ACs in the past few days, that should be fixed and everything should work as intended. Sorry for the delay and thanks for supporting AQWorlds! Return to The Span Friday for a lesson in Chaos! Fiery dungeons, legendary heroes, and a ChickenCow in a TOGA?! How is THAT supposed to teach you about being a Hero? As the Chaorruption continues to grow stronger, will you be able to gain the knowledge you need to know before Chaos completely infects the your Professor? Find pseudo-Falconreach, Ash has much to teach you! If you haven't started our current Chaos Saga storyline, /join thespan to begin learning why you are here... and what your destiny is! But hurry, because your teacher is the Chaos Lord, and he is quickly losing control over his sanity! Prepare for Cluck-cluck-DOOM in Zeuster's Temple! When Chaos turns your classroom into an endlessly-confusing maze of fire and doomstone, you'll want to grab a pencil and paper and map your adventure... or you may NEVER find your way out! And Then Check Out the Rest of Our Release! This is the LAST day to farm the quests and earn resources to buy the Chunin Class! Wait, What About the Sword of the Legion Shop?! If you held onto your Sword of the Legion from this Summer's Dage vs Nulgath war, you'll be excited to learn we haven't forgotten about the shop it is supposed to unlock in Shadowfall! That will come sometime during December, after we release Frostval! We've got Two New Assistant Artists! We've brought on TWO new assistant artists, and they have already begun contributing to the weekly releases! Welcome Vokun and Tyronius to the team! You'll see even more of their work as the weeks go by. We're excited to have them join the team at such an AExciting time of the year! Over the past week, we've received a lot of very helpful feedback for improving the new tutorial. You guys are directly influencing how new players will be introduced to AQWorlds, and that means helping your future /party or /guild members understand the game and how to play it better and faster. Thank you so much! We'd also like to toss out a thank you to the mods and AKs on the forum, where we posted the feedback thread. They work hard to make sure you have a safe, fun environment in which to talk about AQWorlds and the rest of our games. We love releasing new stuff for you every week but sometimes it means that we get behind on some of the the stuff that we NEED to do. So on rare occassions we will take a week off of the insane stories and thrilling adventures and take care of some business. This week we devoted ourselves to three main tasks. 1) Get the AQW Tutorial ready for launch. 2) Get the new Book of Lore ready to be released. 3) a TON of Minor Bug Fixes. The Tutorial will be ready tonight. If you don't know a tutorial is, It's a small part of a game that teaches you how to play it. 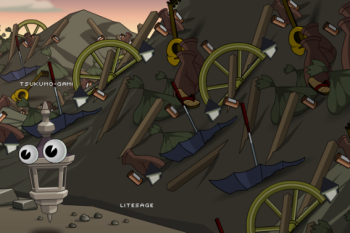 Right now AQW just dumps you into Battleon without any fanfare. Good luck, hope can figure out how to play. This is TERRIBLE for new players. It's intimidating and frustrating and causes a LOT of players to create accounts, log in once and run away. The tutorial introduces a new NPC, Serval. Just after you fall off the mountain in the intro you wake up to Serval and twilly running for their lives from Sepulchure's Minions as they swarm the countryside in his assault on Swordhaven (remember that?). We designed this new experience for people who have never played AQw or any other AE game before so the monsters will seen very easy and the directions very simple to you, but it might be just what a new player needs to feel at home in AQW. We're asking for you to help us out with some feedback. Please read the directions then let us know what you think on the AQW Forums! The Book of Lore overhaul was too large of a project for one week but Yorumi assures me that it will be ready next week. I think you guys will be pleased with the interface inprovements and enhanced experience. I think people will use it a lot more often. The minor bug fixes are stuff that you'll probably never notice but hoipefully it will smooth out some catches here and there and stop a few of you from getting randomly disconnected. 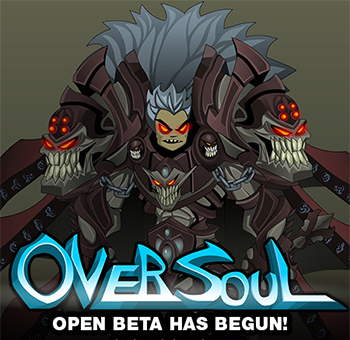 Nulgath, Warlic and Rolith have been pushing really hard in order to get OverSoul ready for this week and som far things are looking great. If you haven't yet, you should really get in on some of the Open Beta madness that's going on but you'll need a AE Master Account to play. 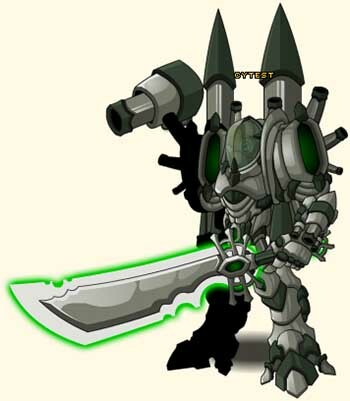 In honor of this HUGE news, Nulgath has provided the OS Founder Knight set for all AQW players who wish to buy them. There's even Ulric the Alpha Warg. These items are all going rare in a week or maybe two so if they interest you, if you have played OverSoul or if you're just a fan of Nulgath you don't want to miss these items. Mogloween and Committed Rares Boost! The art team has also delivered a host of new weapons and armors to the Mogloween 2012 seasonal rare shop and the Committed Rare Shop including Dage's Legion Raven set! 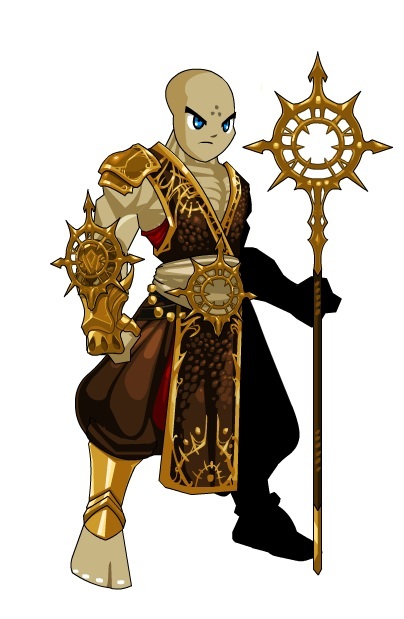 Unlike most Legion items, this amazing set requires nothing more than buying it from the shop but it IS going rare when the Committed Event Rare shop leaves. Fair warning.